Melbourne. Cafe central of the world. 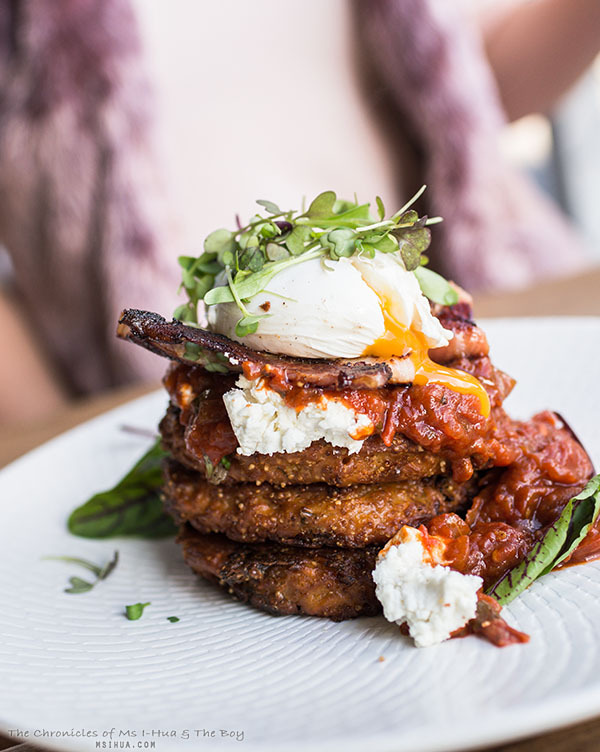 The ritual of waking up, standing in line, getting a table and ordering coffees followed by breakfast which can consist from anything such as smashed avocado (classic Melbourne), to corn fritters, to fried chicken and waffles is ingrained in anyone living the Melbourne life. 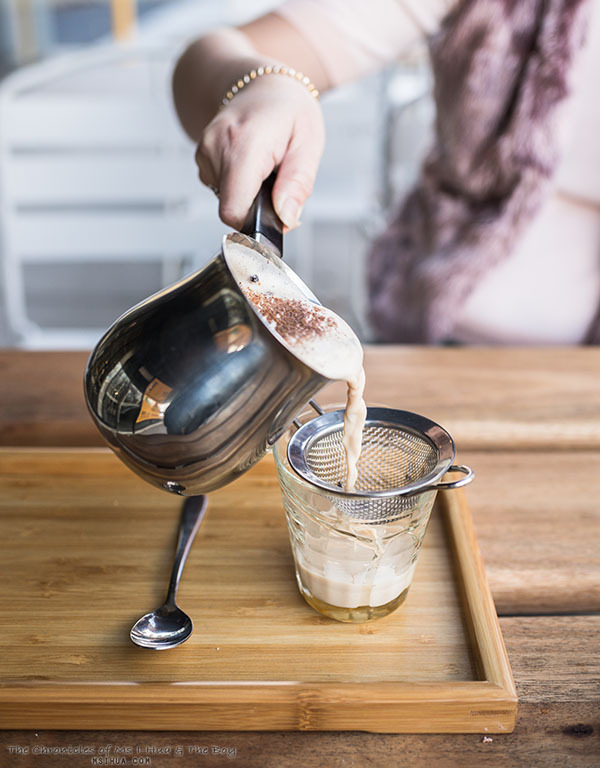 If you need good coffee and good food for your breakfast or brunch, you never have to travel too far either. In fact, every other week sees a new cafe opening up for business. Sometimes they make it. Sometimes they don’t. 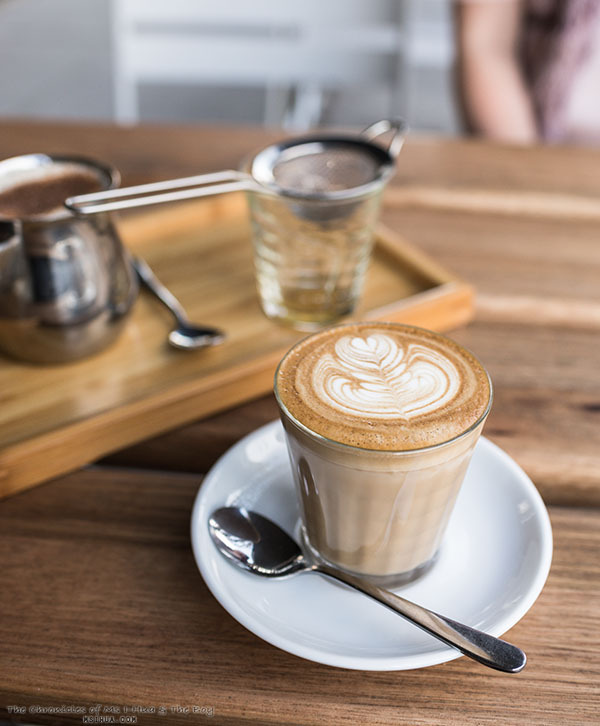 More often than not, these cafes become local favourites, and when you find out about them, it is way too popular and you find yourself waiting 40 minutes for a table. Luckily for us, the relatively new Legacy Camberwell Cafe in Camberwell is spacious enough that despite its popularity, The Boy and I managed to score ourselves a table. Outside. In the slight sunlight on a wintery weekend. The things we do for you. I was ecstatic when I looked through the menu and I couldn’t decide on what I would try. So I utilised my powers of persuasion and got The Boy to order something which I wanted, whilst I placed an order for my second sounding favourite on the menu. For drinks, we started out with something warm. Latte $3.90 for The Boy and Prana Chai $6 for me. The Sweet Potato, Kale & Amaranth Fritters $17.50 arrived on the table and my senses were immediately assailed by the fragrant spices on my dish. It isn’t too hard to note the reasons as to why this was my top pick. Topped with goats cheese, Kaiser bacon and cherry vine tomato chutney, my morning ritual was complete. I love Melbourne! 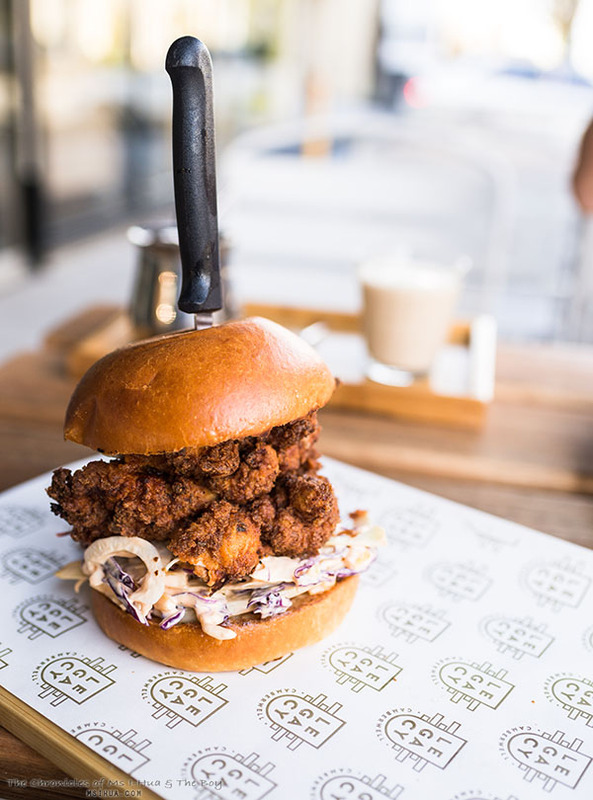 That lasted for two seconds after I realised my folly in allowing The Boy to order the Legacy Buttermilk Fried Chicken $19 served in a brioche bun with mustard and Sriracha mayo. I couldn’t share both items with him. I wanted them all for myself! Luckily for me, The Boy loves me and allowed me a piece of juicy fried chicken and I reciprocated the love back by giving him one whole fritter! Awwwww. 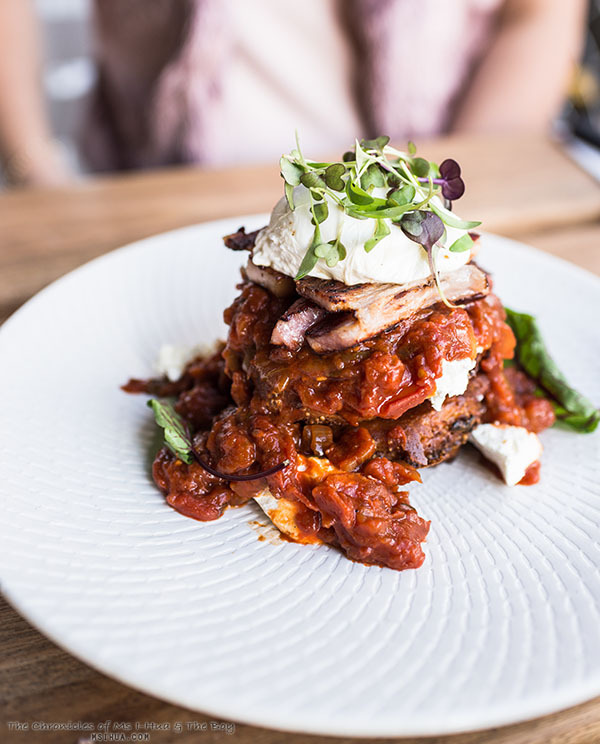 We really enjoyed our meal at Legacy Camberwell and scored getting seats with zero waiting time as we were quite late to the party that day (we had decided to sleep in instead) and arrived just as the crowds dissipated. Next time, we’re coming back for their doughnuts! 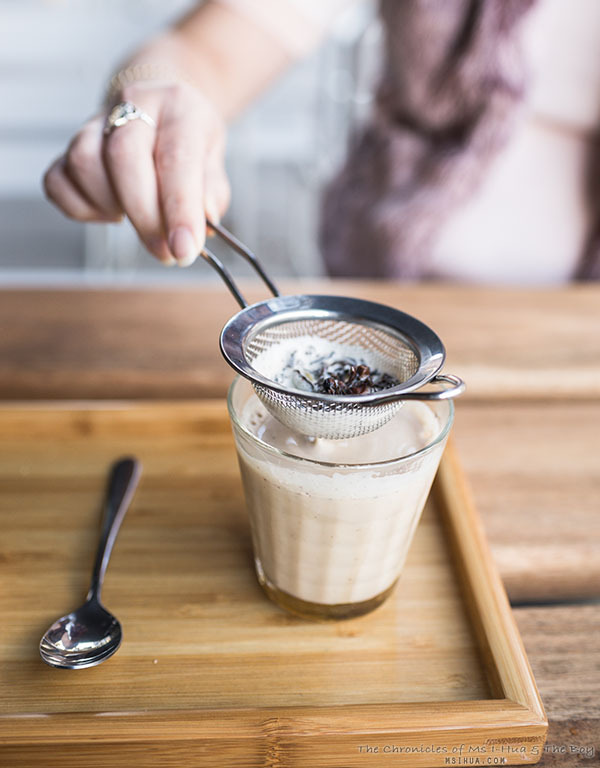 Look at that chai! The poached egg is sheer perfection. Look at that fried chicken… so juicy until i want to go eat it straight away… Thanks for the tips. Will check that out soon.